Ogden’s Shooting Supplies is one of the leading manufacturers of bespoke luggage and bags. With over twenty-five years of experience in the industry, Ogden’s has built up a reputation for tailor made, superior quality bags which are all proud to have been made in England. Ogden’s is based in the heart of Lancashire and uses only the best quality leathers, canvas and condura available, combining them with brass fittings, cotton webbings and premium quality clips and buckles. Ogden’s supply bags and luggage for a multitude of purposes and have an extensive range suited for hunting, shooting and fishing. On top of that, they have accessories for all aspects of country life. Better yet, as Ogden’s offers a bespoke service, customers can choose the specs on the bags and luggage they require. They have a huge range available, including but not limited to: game bags, trout bags, decoy bags, slings, wallets, gillets, tactical gun bags, full leather slips and canvas slips. 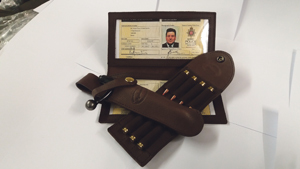 The Cambridge range is one of their most popular lines and includes gun slips, game bags and cartridge bags. The Cambridge game bag is particularly impressive as it is made from their three layer Olive gun bag canvas which has a water proof membrane. With its 3mm bridal leather trim and solid brass fittings, the game bag not only looks the part but delivers as well. It comes with a free removable liner and a strong 2” wide cotton shoulder strap. On top of that, there is also an additional waist bag to stop the bag from spinning around the waist when in motion. 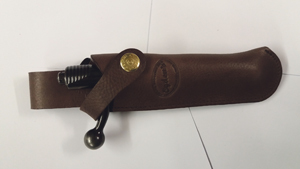 The Heritage single gun slip is another popular item that is made from high quality hide and trimmed with 3mm bridal leather, providing a superb slip. The slip is lined in simulated sheepskin, with gold trimmed fur available on request, and is finished off with heavy duty YYK zips and pullers and solid brass fittings. To prevent stiffness and soreness, a common problem among shooting hobbyists, the shoulder strap features a durable pad to spread the weight and help ease tension. The trigger guard has a retractable grip handle that can be easily folded out of the way when not needed. The Quickslip bags were developed over a twelve month period and included the input and advice from stalking experts. It went through multiple designs and revisions before Ogden settled on the perfect product. Tested with a plethora of rifles with scope/bi-mod/moderator attachments, the Quickslip now comes in two sizes to best suit modern day stalking needs. The main bag is made from a drab olive ‘ballistic’ nylon what has an unmatched strength and durability that is only found in military kits. It is also highly water proof, utilising a water resistant drop liner behind the foam to create a water proof barrier. With their expertise and high level of care going into every purely British made product, it’s easy to see why Ogden’s is the first choice for all bags and luggage to suit outdoor needs. This entry was posted in Leisure Solutions and tagged Guns, Shooting. Bookmark the permalink.